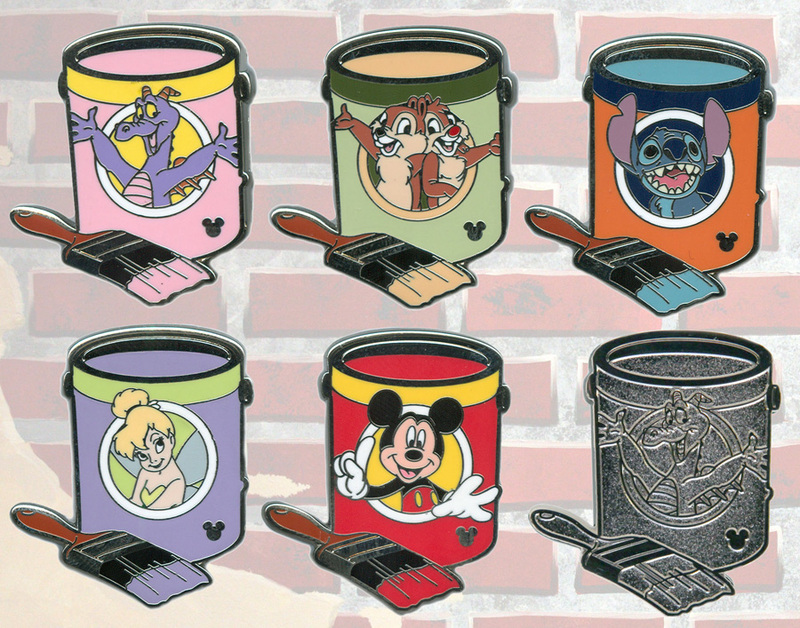 A new year means that a new series of Hidden Mickey pins will soon be released at Disney Parks. Some of you may recall that cast members use these specially designed pins when trading with guests. 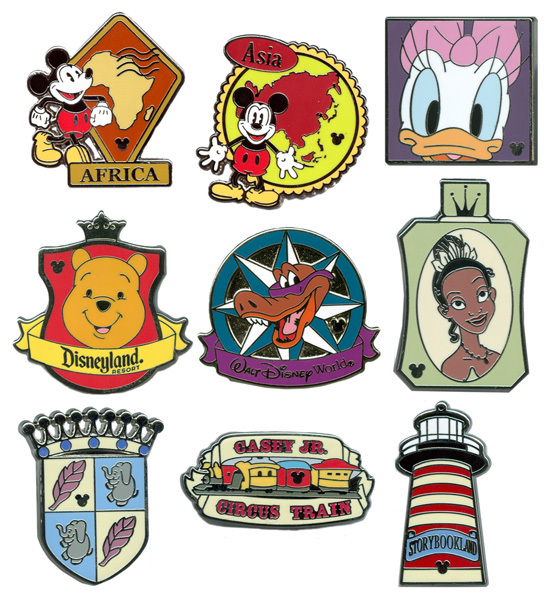 Each pin measures approximately 1.25 inches and contains a small Mickey Mouse icon in the art (hence the name). This is the first year I haven’t been directly involved with creating them so I spoke with Julie Young, long-time developer of Disney pins, to find out what we could expect. Similar to the 2011 collection, there will be two different waves introduced at Disneyland and Walt Disney WorldResorts. 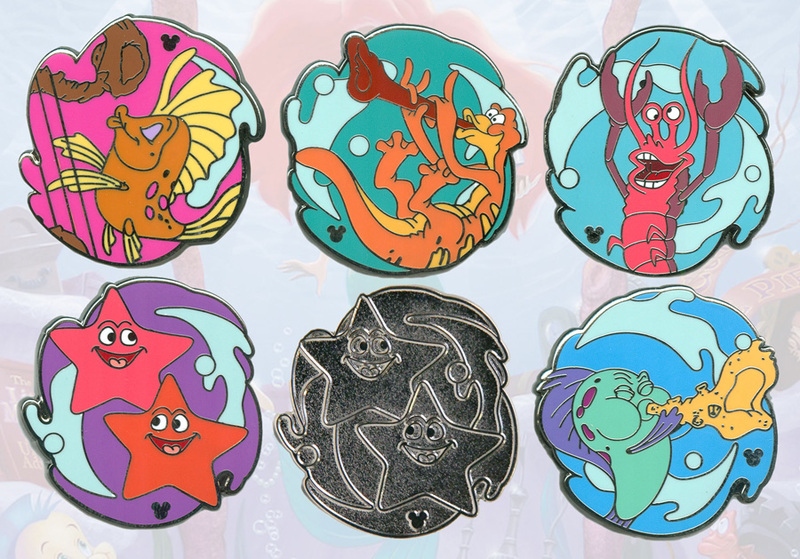 The first wave is due to arrive in late January, while the second wave will arrive later in the summer – keep watching DisneyPins.com for an official release date. One of my favorite series from the 2012 collection is the Zodiac signs, which will be a shared series on both coasts. Zodiac pins were sold in the early days of trading but I always thought they would make a great Hidden Mickey pin series (high-five to all Virgos!). Julie also shared some of her favorite pins. 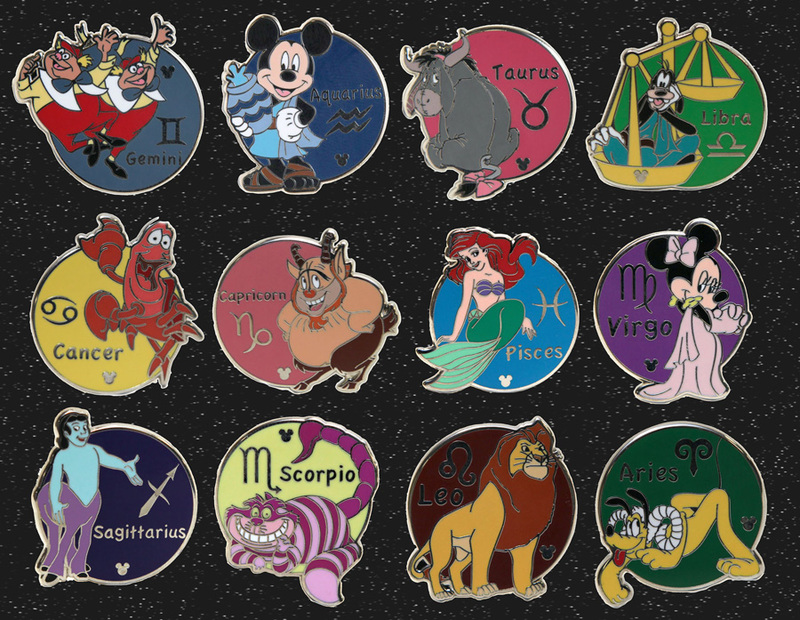 For this first wave, there will be 30 unique pins for Disneyland Resort and 35 unique pins for Walt Disney World Resort (plus the 12 shared Zodiac pins). Julie also selected a handful of pins from these first waves to be released as silver-colored chasers (I included examples in the images above). The chasers are released randomly to cast members for trading.